Smart architectural solutions keep amazing us, as well as using limited space efficiently and creatively. What OOF! Architecture firm did was used a practically uninhabitable triangular lot to make the Acute House. 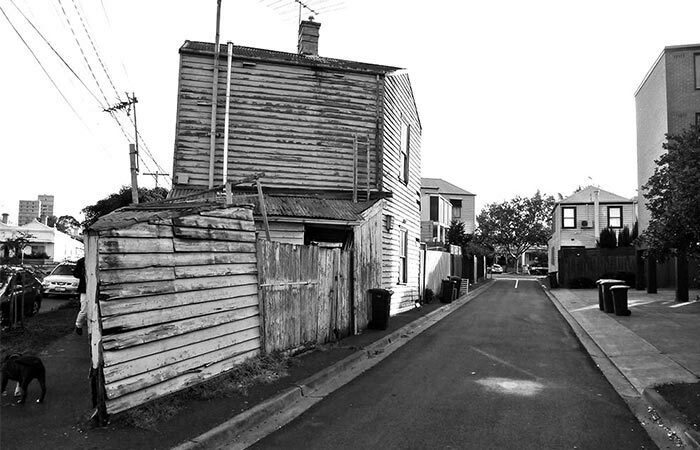 The Victorian weatherboard cottage and renovator’s nightmare became a compact and modern family home. The tiny lot wasn’t the only problem they faced as the previous structure was very old. However, new residents and neighbors liked it. Because of that, the architects decided to salvage some parts of the old house like door knobs, vents and street number and incorporated it into the new design. 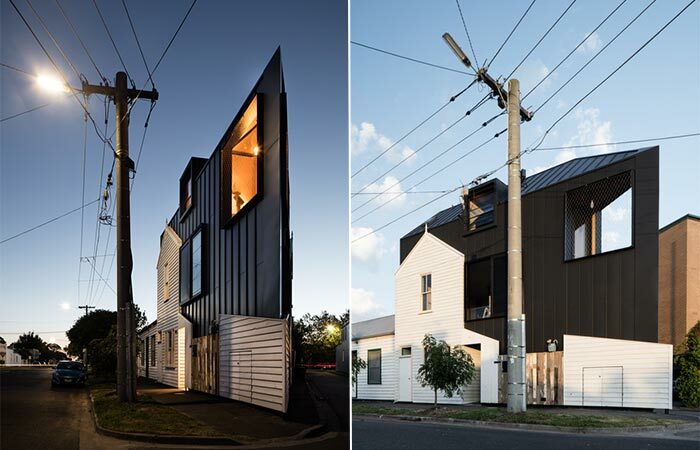 The old house in Melbourne is renovated into a triangular modern family home. Even thought the lot was almost unusable, the OOF! architects succeeded in transforming this space. 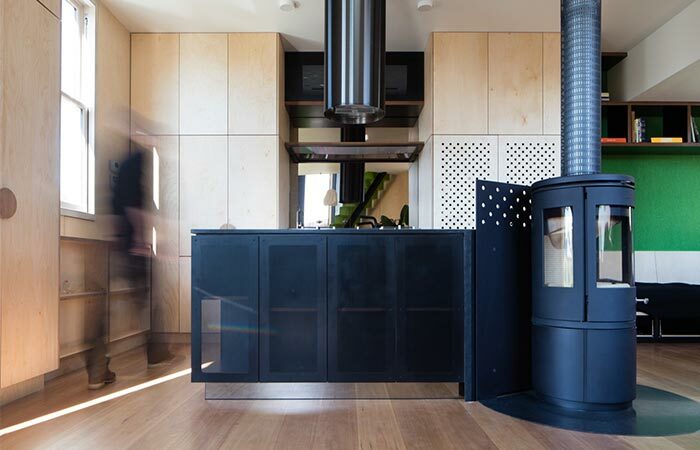 Acute House is contemporary and features metal cladding that’s combined with an aged timber cladding exterior. The wooden elements are left raw, to provide a contrast with the new metallic structure. The fascinating thing about this house is how they managed to organize the space inside. The house has several levels with each of the rooms carefully designed to look spacier. 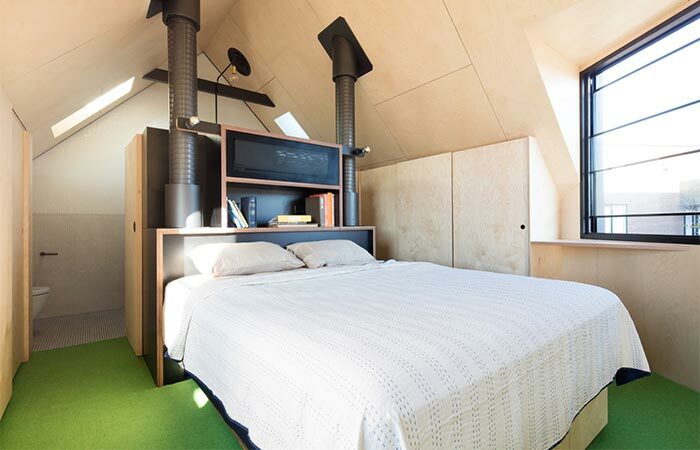 Even though it seems so tiny, the space inside was cleverly used. The house is tall and has several levels. The corner was used for the staircase and the rooms were carefully distributed over the levels. Also, floors don’t have dead ends providing the interior with a lean yet spacious look. The interior mostly features wooden elements like the walls, storage units, counters. Speaking of the interior, Acute House has a lot of wooden elements incorporated into the design. 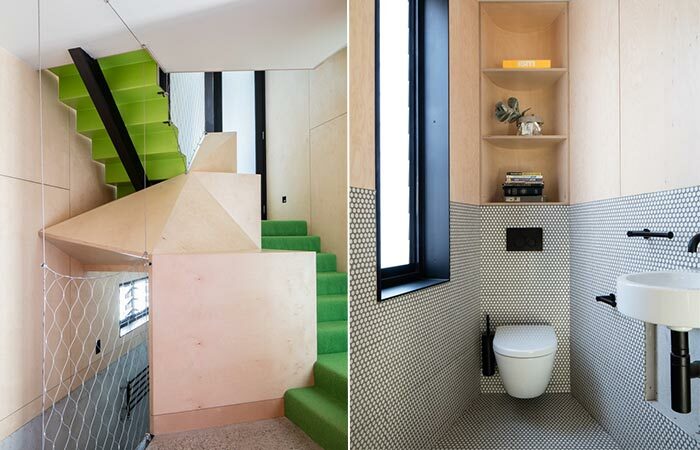 Some details like the green staircase and bedroom floor provide contrast to the minimalistic design. The kitchen is tall and has black counters as well as a tall oven. The green details provide contrast to the minimalistic interior.